Where does Virginia Beach's water come from? The Lake Gaston Water Supply Pipeline helps fulfill that mission by pumping water to Virginia Beach citizens through a 76-mile-long pipeline leading from Lake Gaston, in Brunswick County, to Lake Prince, a reservoir located in Suffolk but owned and operated by the City of Norfolk. The water from Lake Gaston is blended with water from Norfolk and then pumped to Norfolk's Moores Bridges Water Treatment Plant. At the plant, the water undergoes an extensive filtering and disinfection process to remove particles, bacteria, algae, and other impurities. At this point, fluoride is also added to the water. The plant provides state of the art treatment technology and ensures drinking water quality through continual monitoring and testing. The sources of drinking water (both tap water and bottled water) include lakes,ponds, reservoirs, rivers, springs, streams, and wells. As water travels over the surface of the land or through the ground, it dissolves naturally-occurring organic and inorganic substances. Water also picks up contaminants from animals and human activity. Disinfection is an essential part of the water treatment process, preventing the occurrence and spread of many waterborne diseases. Norfolk’s Moore’s Bridges Water Treatment Plant treats our source water, testing it for over 230 substances. Further testing is performed daily throughout Virginia Beach’s water distribution system. On average, over 400 water quality samples are collected and analyzed monthly, providing continual monitoring for the highest water quality possible. 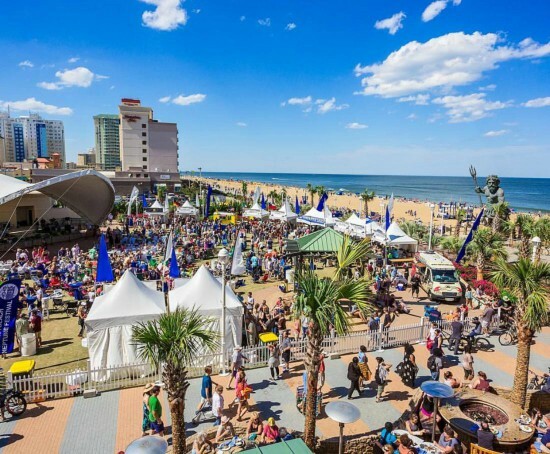 Is Virginia Beach's water safe to drink? Health Guideline: N/A - No standard exist for this contaminant - Yikes! !.